You don’t have to move to the country to bring that wonderful farmhouse charm into your own home! These rustic decorating tips will help you capture the spirit and warmth of farmhouse style, and create its welcoming and inviting feel. Wood, stone, and metal are the trademark materials of the farmhouse style. Adding galvanized metal planters, stone backsplashes or barn doors will bring fantastic rustic warmth into any space. Another great trick is to paint your wooden cabinets the perfect farmhouse colors, such as antique white or stone gray, and give them a distressed finish for a timeworn look. 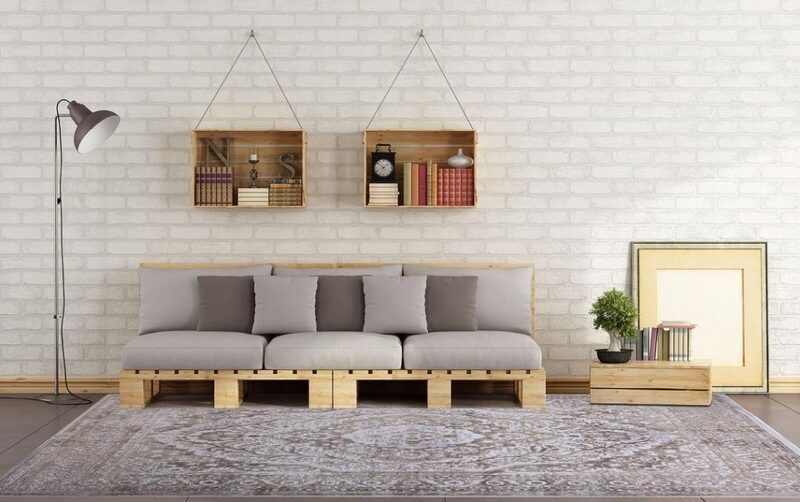 It can be your awesome DIY project! As it used to be a staple in traditional kitchens, mason jars will not only bring farmhouse style into your home, but they are also functional and make a pretty display. 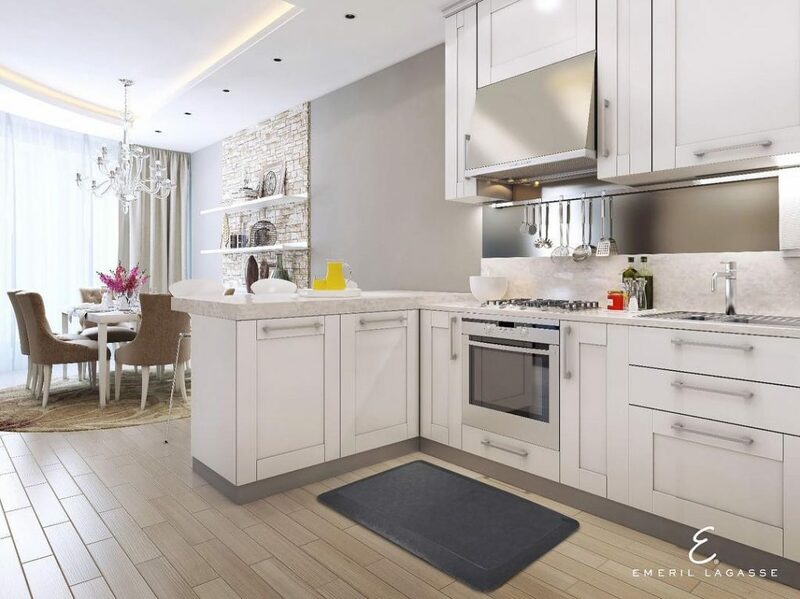 You can store kitchen utensils, pasta or dry cookies, or use it entirely as a decor element, as a vase or a candle holder. Turn your porch into a place for socializing. Typically, old farmhouses used the front of the home to welcome guests and socialize with family. To continue this tradition, you can create an outdoor living space by filling your porch with chairs and rocking chairs. You can make it even more relaxed and inviting with potted plants or flowers. Just like your grandma did, you can create a decorative plate display on the wall or hang pots, pans and iron skillets in your kitchen. Also, you can hang a rustic-antiqued sign reading “market”, “kitchen”, or “farmhouse” for a fun addition! 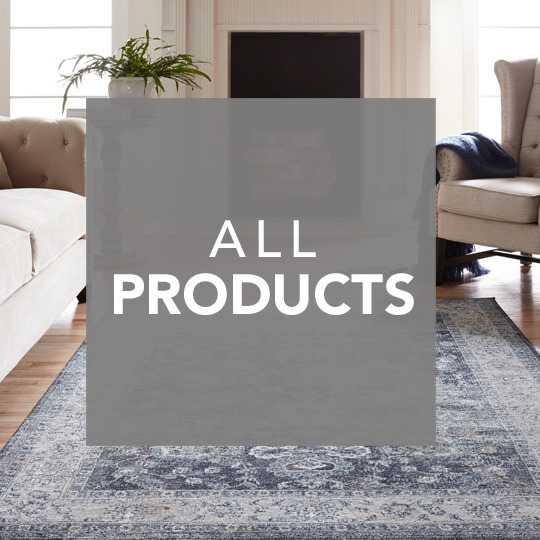 Reinforce a farmhouse feel with soft and textured rugs, and make it even cozier by layering. 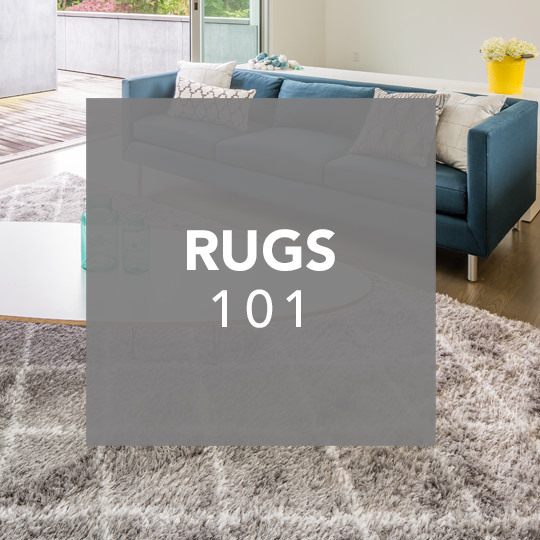 This wonderful trend will add warmth to your home, and the best way to layer rugs is to choose complementary patterns and colors while being different enough. 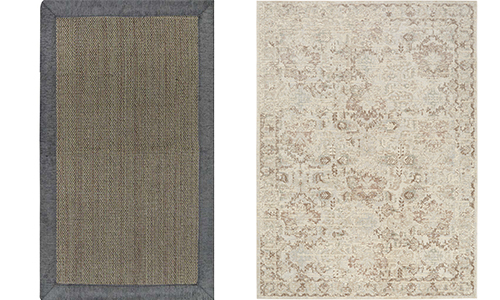 You can try this gorgeous accent rug on top of a vintage area rug.